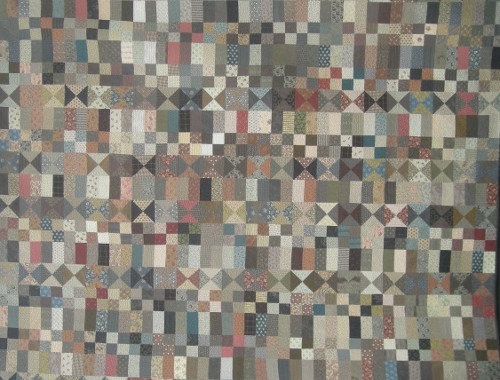 Description: This scrappy quilt, reminiscent of the late 1800's, is very easy to make and has a decidedly antique flavor if reproduction fabrics are used. It would also look great in pastels, batiks and brights or the 1930's vintage fabrics. The name Friends and Neighbors came about because I was sharing my idea for this project with a "friend and neighbor" who liked the pattern so much, decided to make it as soon as the pattern was available!